When schools have high-quality library programs and librarians who share their expertise with the entire school community, student achievement gets a boost. Since 1992, a growing body of research known as the school library impact studies has consistently shown positive correlations between high-quality library programs and student achievement (Gretes, 2013; Scholastic, 2016). Data from more than 34 statewide studies suggest that students tend to earn better standardized test scores in schools that have strong library programs. Further, when administrators, teachers, and librarians themselves rated the importance and frequency of various library practices associated with student learning, their ratings correlated with student test scores, further substantiating claims of libraries’ benefits. In addition, newer studies, conducted over the last several years, show that strong school libraries are also linked to other important indicators of student success, including graduation rates and mastery of academic standards. Skeptics might assume that these benefits are associated mainly with wealthier schools, where well-resourced libraries serve affluent students. However, researchers have been careful to control for school and community socioeconomic factors, and they have found that these correlations cannot be explained away by student demographics, school funding levels, teacher-pupil ratios, or teacher qualifications. In fact, they have often found that the benefits associated with good library programs are strongest for the most vulnerable and at-risk learners, including students of color, low-income students, and students with disabilities. Let’s take a closer look at these findings and what they mean for school library programs. In these statewide studies, the most substantial and consistent finding is a positive relationship between full-time, qualified school librarians and scores on standards-based language arts, reading, and writing tests, regardless of student demographics and school characteristics. For example, a national study using data from the National Center for Education Statistics (NCES) and 4th-grade National Assessment of Educational Progress (NAEP) reading scores documented that losses of librarians are associated with declines or inferior gains in reading scores, while gains of librarians are associated with improved scores (Lance & Hofschire, 2011a). When the study was replicated in Colorado the following year using more precise state data, the result was the same (Lance & Hofschire, 2012). In a Pennsylvania study (Lance & Schwarz, 2012), nearly 8% more students scored Advanced on the Pennsylvania System of School Assessment in reading in schools with a full-time, certified librarian than in schools without. Where part-time support staff was added to the full-time librarian, almost 9% more students achieved Advanced scores. The effect of staffing on writing scores was even greater: Students with full-time librarians were almost three times more likely than those without librarians to have Advanced writing scores. Research also suggests that the presence of school librarians has a long-term, cumulative effect. In the Pennsylvania study, if schools had full-time librarians, reading scores were consistently better for all grade levels of students — and, in fact, the proportional difference in Advanced reading scores grew from elementary to middle to high school. Schools with full-time librarians also had fewer Below Basic scores than those without librarians. Reading and writing scores tend to be higher for all students who have a full-time certified librarian, and when it comes to reading, students in at-risk subgroups tend to benefit more than all students combined. The Pennsylvania study (Lance & Schwarz, 2012) found that while 1.6% fewer students tested at the Below Basic level in reading when they had full-time librarians than those who did not, the difference was even greater for Black students (5.5%), Latino students (5.2%), and students with disabilities (4.6%). Even higher academic gains were evident among student subgroups if their schools had more library staff, larger library collections, and greater access to technology, databases, and the library itself. On average, Black and Latino students whose schools had larger library collections (versus those who did not) more than doubled their percentages of Advanced writing scores and cut their risk of Below Basic writing scores in half. The 4th-grade NAEP reading data supported the Pennsylvania findings. In states that gained librarians between 2004-05 and 2008-09, average reading scores for poor students, Black students, and Latino students improved more than in states that lost librarians. In states that lost librarians, English language learners’ scores dropped by almost 3% (Lance & Hofschire, 2011b). Given the emphasis on literacy and reading in many libraries, it makes intuitive sense that students’ reading and writing scores would be better in schools with a strong library program. What may be more surprising is that, in a 2015 Washington state study, the presence of a certified school librarian was also a predictor of higher elementary and middle school math scores. The study ranked school library programs based on certified staffing, library accessibility, resources, and technology and found that “the one key factor distinguishing high-performing high-poverty schools from low-performing high-poverty schools is a quality library program” (Coker, 2015, p. 25). Graduation rates and test scores in reading and math were significantly higher in schools with high-quality libraries and certified librarians, even after controlling for school size and poverty. No standards-based test fully captures the extent to which quality school library programs contribute to students’ mastery of state or national academic standards. Nonetheless, the South Carolina study, which tied test scores to specific standards, revealed that students with full-time, qualified librarians and strong library programs were more likely to meet at an exemplary level, and less likely not to meet, specific standards for using literary text, using informational text, and conducting research (Lance, Schwarz, & Rodney, 2014). Several library impact studies suggest test scores tend to be higher where administrators, teachers, and librarians themselves think of the school librarian as a school leader; as a teacher, co-teacher, and in-service professional development provider; as a curriculum designer, instructional resources manager, and reading motivator; and as a technology teacher, troubleshooter, and source of instructional support (Lance & Schwarz, 2012). Indeed, having librarians take an instructional role — and do it well — has been correlated with students’ success at meeting academic standards. In the Pennsylvania study, among others, when administrators, teachers, and librarians agreed that librarians did an “excellent” job teaching to state reading and writing standards, students in their schools were more likely to excel and less likely to score poorly on corresponding tests (Lance & Schwarz, 2012). The benefits associated with good library programs are strongest for the most vulnerable and at-risk learners, including students of color, low-income students, and students with disabilities. How much they borrow library materials for use elsewhere. In light of these findings, how can schools best leverage their library programs to improve student achievement? Align to school and district priorities. School administrators are trained to understand and support teachers and instruction. However, research suggests that universities seldom prepare administrators to leverage their school library programs to enhance student achievement (Kachel, 2006; Wilson & MacNeil, 1998). Although administrators recognize school librarians’ role in promoting literacy, few school leaders think about how to give librarians leadership roles in implementing district goals, key instructional initiatives, and school improvement strategies. In addition, librarians often are assigned to cover teacher planning time or other tasks, crippling their ability to engage fully in building initiatives such as 1:1 device programs, STEM/STEAM projects, or blended learning. This means that librarians operate as independent silos, doing good work but not necessarily working in concert with the rest of the staff on achieving district priorities. And when given this sort of diminished, peripheral role — seen as “nice to have, but not necessary” — library programs are more likely to be subject to budget and staffing cuts. To make the best use of a trained librarian’s talents, school leadership teams — including principals, district school library coordinators, and librarians — need to discuss, plan, and articulate strategies for getting librarians involved in meeting school goals. For example, trained librarians can research proposed school initiatives, find resources for English learners and other students with special needs, and equip teachers with new technologies and web tools. According to recent data from the NCES, districts across the country are creating new positions to support and coach classroom teachers in using digital resources, emerging technologies, and other newly adopted programs (Kachel & Lance, in press). The professionals in these new positions carry such titles as digital integrationist, innovation specialist, digital learning specialist, reading interventionist, and technology integration coach. In fact, between 2000 and 2016 (the last year for which NCES data are available), the number of instructional coordinators in the U.S. increased from 38,667 to 87,495 — an increase of 226% (Lance, 2018). Students tend to thrive academically where library programs provide ready access to free and subscription-based online resources alongside more traditional collections of books, periodicals, and audiovisual resources. Although additional staffing might be needed, asking librarians to take on this work could be a cost-effective alternative. Librarians are in an advantageous position to coach faculty, and research shows that administrators want their librarians to provide professional development to teachers. Teachers feel less threatened and are willing to take risks when a peer, as opposed to an evaluator, helps them implement new instructional strategies and embed new resources in instruction. Unfortunately, school leaders seldom recognize librarians as essential technology leaders, and often they perpetuate stereotypical views of the librarian as the “keeper of books” (Johnston, 2015; Lewis, 2016). However, librarians today are often on the cutting edge of education technology. And because librarians work directly with all teachers and all students, they have a big picture view that can make them major assets on building and district leadership committees that assess curriculum, technology, and other programs that affect the entire school community. Administrators who want to make the best use of their library programs — including their rich collections of print, digital information, and instructional technologies — should set expectations for collaboration among teachers and librarians. The principals who responded to the library impact studies indicated that they highly value collaboration, but collaboration does not just happen on its own. Teachers may need to be shown that librarians can serve as instructional partners, and both librarians and teachers need training in collaborative instruction (Montiel-Overall & Grimes, 2013). Keeping in mind that no other educator receives as much training in selection, evaluation, and integration of educational resources, one cost-effective and efficient way to send a message that the librarian is a resource for everyone is by thinking of the librarian as a chief information officer (CIO). As a CIO, a trained school librarian can evaluate online databases for potential licensing, investigate open educational resources, locate resources in languages other than English, and seek out texts written at specific reading levels, thus saving teachers valuable instructional time. Librarians can curate lists of internet sites and web tools for specific assignments and even help teachers integrate such resources in their instruction. Even a small elementary library likely has over a quarter of a million dollars in resources and technologies. No business would allow an investment of that value to be unmanaged or disconnected from the primary mission of the organization. To ensure that these resources are used well, leaders need to set clear expectations for staff use of the library program and monitor that use throughout the year to assess progress and make adjustments. Expectations must be realistic, however, taking into account which school initiatives can benefit from the support of a librarian and what the librarian’s workload and schedule look like. In some cases, eliminating routine library tasks by hiring support staff or recruiting volunteers can enable librarians to refocus their time so that they can work on initiatives that require their specialized skills. 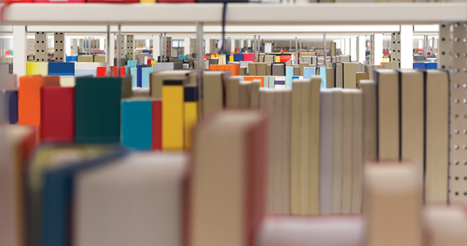 Nationwide, research suggests that reading, writing, and graduation rates improve where schools employ certified school librarians. With increasing costs and decreasing school funds, local school districts must decide how to get the best return on their investments. Providing equitable and adequate school library services and instruction has become an issue of social justice, especially when we see that schools in the poorest and most racially diverse communities have the least access to library services (Pribesh, Gavigan, & Dickinson, 2011). Since 2000, the NCES reports that more than 10,000 full-time school librarian positions nationwide have been lost, a stunning 19% drop (Lance, 2018). Districts and schools that have cut their library services need to reexamine this practice and take a position on library equity and access for all students. As the research and information arm of the school, school library programs can provide professional development to teachers and instruct students on information use and ethics. Fully integrated library programs with certified librarians can boost student achievement and cultivate a collaborative spirit within schools. School leaders who leverage these assets will realize what research has shown: Quality school library programs are powerful boosters of student achievement that can make important contributions to improving schools in general and, in particular, closing the achievement gap among our most vulnerable learners. Coker, E. (2015, April). The Washington state school library study: Certified teacher-librarians, library quality and student achievement in Washington state public schools. Seattle, WA: Washington Library Media Association. Gretes, F. (2013, August 12). School library impact studies: A review of findings and guide to sources. Prepared for the Harry & Jeanette Weinberg Foundation. Johnston, M.P. (2015). Blurred lines: The school librarian and the instructional technology specialist. TechTrends, 59 (3), 17–26. Kachel, D.E. (2006). Educating your principal. School Library Media Activities Monthly, 23 (3), 48-50. Kachel, D.E. (2013). School library research summarized: A graduate class project. Mansfield, PA: Mansfield University. Kachel, D.E. & Lance, K.C. (in press). Changing times: Where have all the school librarians gone? Teacher Librarian. Lance, K.C. (forthcoming, 2018). 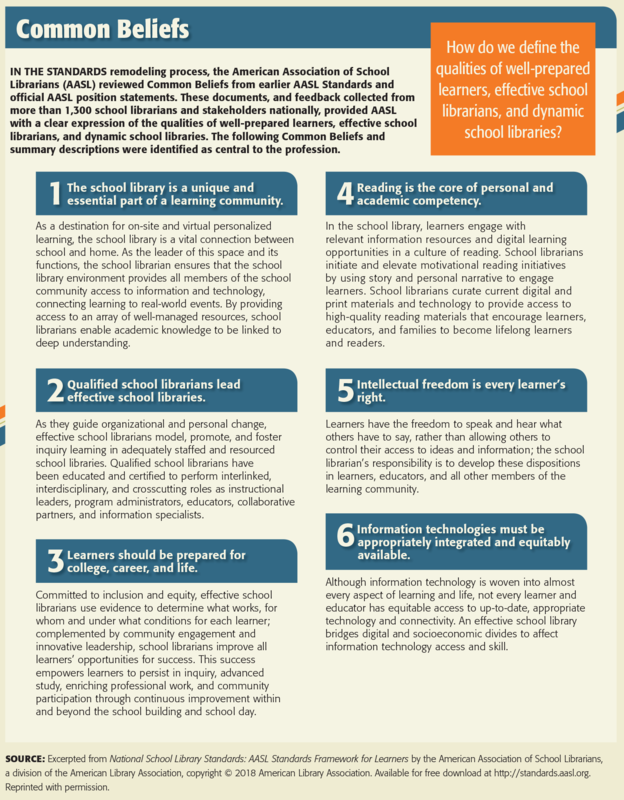 School librarianship: A state of the union. School Library Journal. Lance, K.C. & Hofschire, L. (2011a). Something to shout about: New research shows that more librarians means higher reading scores. School Library Journal, 57 (9), 28-33. Lance, K.C. & Hofschire, L. S. (2011b). Something to shout about: School Library Journal article reveals first evidence of impact of school librarian losses (and gains) on students. CSLA Journal, 3 (2), 20-22. Lance, K.C. & Hofschire, L. (2012). Change in school librarian staffing linked with changes in CSAP reading performance, 2005 to 2011. Denver, CO: Library Research Service. Lance, K.C. & Schwarz, B. (2012, October). How Pennsylvania school libraries pay off: Investments in student achievement and academic standards. PA School Library Project. Lance, K.C., Schwarz, B., & Rodney, M.J. (2014, June). How libraries transform schools by contributing to student success: Evidence linking South Carolina school libraries and PASS & HSAP results. Columbia, SC: South Carolina Association of School Librarians. Lewis, M. (2016). Professional learning facilitators in 1:1 program implementation: Technology coaches or school librarians? School Libraries Worldwide, 22 (2), 13-23. Montiel-Overall, P. & Grimes, K. (2013). Teachers and librarians collaborating on inquiry-based science instruction: A longitudinal study. Library & Information Science Research, 35 (1), 41-53. Pribesh, S., Gavigan, K., & Dickinson, G. (2011). The access gap: Poverty and characteristics of school library media centers. Library Quarterly, 81 (2), 143-160. Wilson, P.P. & MacNeil, A.J. (1998). In the dark. School Library Journal, 44 (9), 114. Citation: Lance, K.C. & Kachel, D.E. (2018). Why school librarians matter: What years of research tell us. Phi Delta Kappan, 99 (7), 15-20. KEITH CURRY LANCE (keithlance@comcast.net; @KCLance) consults independently and with the RSL Research Group. He received the 2013 AASL Distinguished Service Award for his school library impact research. DEBRA E. KACHEL (dkachel@antioch.edu; @SchLibAdvocate) is an affiliate faculty for Antioch University Seattle’s K-12 Library Media Endorsement program and an adjunct instructor for McDaniel College’s School Librarianship program, Westminster, Md. She received the 2014 AASL Distinguished Service Award for her school library advocacy work. I don’t know what this author is talking about. I already have the equivalent of 2 full-time jobs as a school librarian and now that want to add all of the crap listed in this article? It’s like the author has never been a teacher. Sheesh.